Bisons midfielder Mackie Burdeny fights for possession during Manitoba's 1-0 loss to Trinity Western Friday. The U of M Bisons women’s soccer club kicked off the home schedule on a rainy Friday night, falling just short against the top-ranked Trinity Western Spartans 1-0. 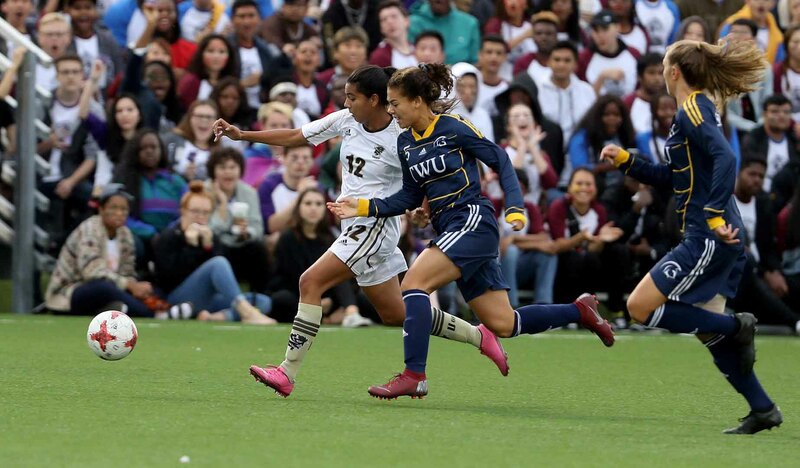 The two teams remained scoreless until a final-minute goal gave Trinity Western the victory. “I’m just extremely proud of my team,” Bisons head coach Vanessa Martinez Lagunas said postgame. The Spartans pushed the pace in the first half, playing with composure and controlling the ball. 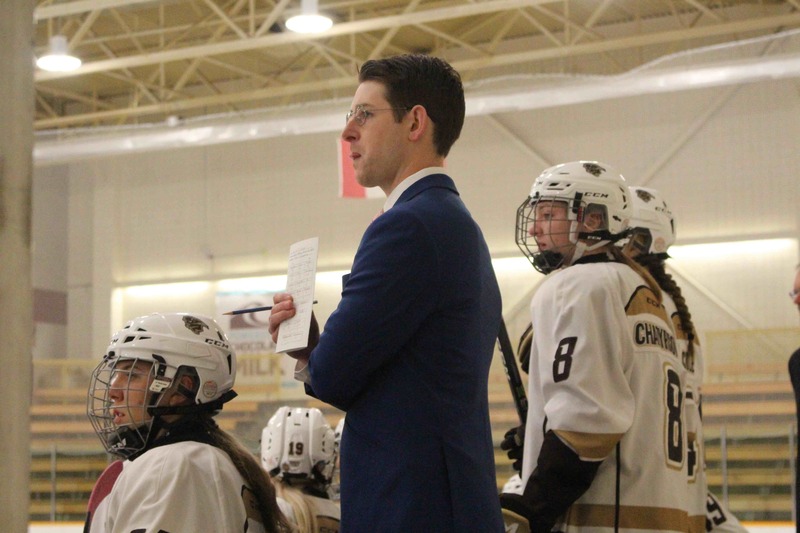 Manitoba looked panicked at times, but held the top team in the country to a 0-0 draw through 45 minutes. In the second half the game, the teams traded chances and the Bisons came close to breaking through in the scoreless game. A foul just outside the penalty area set the herd up for a free kick and Amanda Wong hammered a shot around the defending wall, but Spartans keeper Rachel Sydor was equal to the task. The ball dropped off Sydor’s hands but the Bisons could not beat the Trinity Western defenders back and the chance was cleared. The Spartans winner came off the foot of Seina Kashima late in stoppage time. Her shot from just beyond the penalty area curved and lifted into the top corner on Bisons keeper Madison Wilford, giving the Spartans the 1-0 win. The Bisons take on the University of the Fraser Valley Cascades. Kickoff is 6:00 p.m. CDT at the Bisons Soccer Complex.